Graduation is right around the corner! It's crazy that I will be done with college in just two weeks. Time has truly flown by. But, with graduation comes finding the perfect outfit to walk across the stage in. 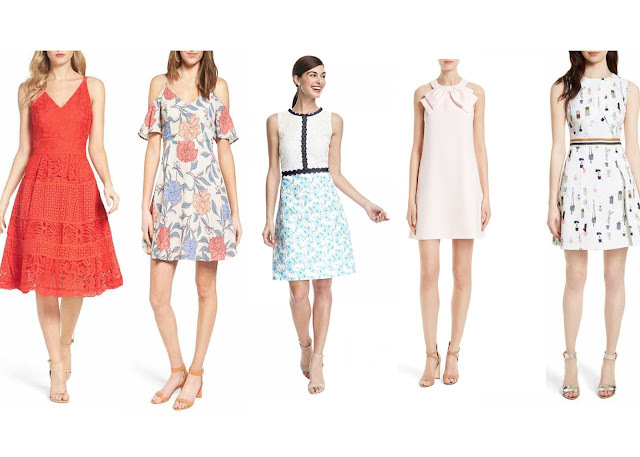 Here are a few dresses I found that are perfect for graduation day! Personally, I love finding a unique dress that you will remember and love in your photos. So, pick what you love! Are you graduation this year? What are you planning on wearing? Let me know in the comments! Be sure to look out for my graduation day outfit post soon.